PARIS (ESA PR) — When it comes to innovation, the sky is not the limit – this month sees the 200th new start-up company launched through ESA’s Business Incubation Centres. Whether it’s for quick mapping of disaster-stricken areas by crowdsourcing, offering smarter transportation solutions, alternative energy handling or improving production technologies, these start-ups benefit local economies while promoting the use of space technology in terrestrial applications. All of these start-ups nurtured at the ESA Business Incubation Centres (ESA BICs) have one thing in common as their winning key driver: innovation. 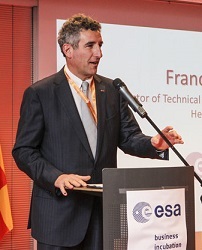 “The knowledge and technology that are available in our space programmes are open for entrepreneurs and, with ESA investing in those brilliant minds, we can rest assured that our technology will reach far,” said Franco Ongaro, ESA’s Director of Technical and Quality Management. During their two-year incubation periods hosted at the ESA centres, start-ups receive financial and technical support, leading to the launches of new companies, new products on the market and new jobs for their regions. The new tool for pilots, SkyLiberty from Belgium, is one example of an ESA-supported start-up, developing a useful app for preparing flight paths quickly, taking into account all aircraft types, weather, airspace situations and airport factors. 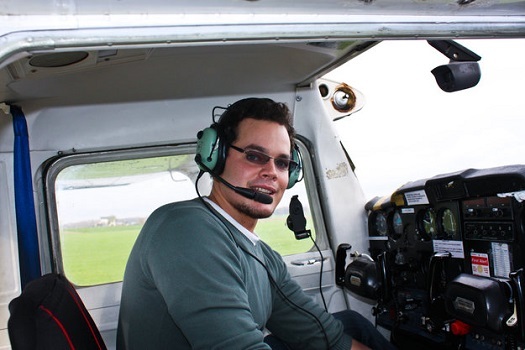 The app provides a greater accuracy and efficiency for small aircraft flight planning. From the Netherlands, a computer game has been developed with a serious application: helping rescue workers when they enter disaster-stricken areas. The Cerberus game, developed by an ESA BIC Noordwijk start-up, combines input from thousands of users through crowdsourcing techniques to quickly generate a detailed situation map of an area based on satellite data from ESA. In Germany, the revolutionary AppJobber smartphone app became a hit by providing a smart system to monitor hundreds of Deutsche Bahn’s railway stations – not by company-employed inspectors, but rather by regular commuters, providing situation reports and earning money as they go about their normal days. By allowing this satnav-based app from a start-up in ESA BIC Darmstadt to do their routine monitoring, companies in five countries now save time and money, and also reduce their carbon footprints. 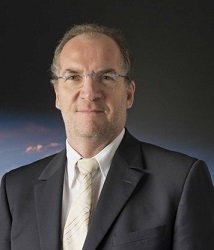 “We started to prepare the operations of the business incubation initiative in 2000 with our first centre here in the Netherlands because we believed that the leading-edge technologies we developed for Europe’s space programmes can provide innovative solutions here on Earth,” says Bruno Naulais, ESA BICs manager at ESA’s Technology Transfer Programme Office. Part of ESA Technology Transfer Programme, the eight operating ESA BICs across Europe are based in the Netherlands, Germany (Bavaria and Darmstadt), Italy, UK, Belgium (Redu and Flanders) as well as the most recent one in southern France. By the end of 2013, a ninth centre will be launched in Barcelona, Spain.